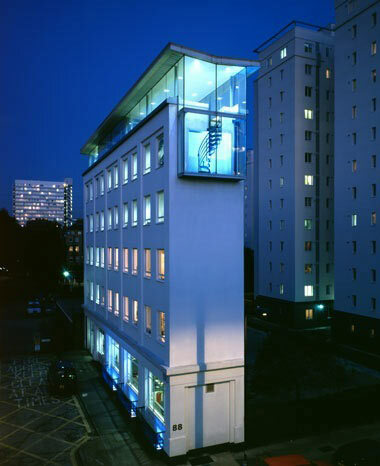 Blair Associates Architecture Ltd is a London based Practice established in 1989. The Practice is located in the City of London in a 5,000 sq ft studio. We aim to provide responsive imaginative and professional solutions focused on the aspiration of each of our clients and to deliver a quality product regardless of commission size or type. The Practice has an outstanding skill in achieving excellent planning consents with an enviable record of 100% planning success in all major projects commissioned to date. The practice has experience with most of the Planning Authorities with a particularly good relationship with Westminster, City of London and London Authorities. We seek to develop sustainable design, which fulfils the expectations of the client and project user, addresses their physical and cultural context and allows effective solutions of procurement and construction. Our work includes all types of planning design and a range of services from strategic advice on development, regeneration and conservation to providing full architectural services for the project from inception to completion. For further information on Claridge's, click here.